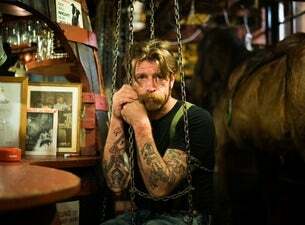 Jesse Hughes and Joshua Homme, co-founders of American rock band EODM (Eagles Of Death Metal), have announced release plans for their fourth album, ZIPPER DOWN, EODM’s first new studio release since 2008. Currently on tour in Europe, EODM has announced a trek across North America in August, September and October, before they head back to Europe for headlining shows in November and December, including the UK, Ireland, France, Germany, Denmark, Sweden, Norway, Poland, Hungary, Italy and Spain. Visit eaglesofdeathmetal.com for the band’s latest confirmed tour dates and other news.